Hubby has wanted to visit Corregidor for the longest time. We never found the time to do it. People take for granted to visit spots and sites closest to them and we are not exceptions. The first time I visited Luneta was six years ago but I made sure I watched Wicked on Broadway & went up the Empire State when I visited NYC a few weeks ago. Whereas my cousins who were born NewYorkers have not watched it a single time nor have they gone up to the Empire State. I can go on & on but i’ll stop lest I bore you. 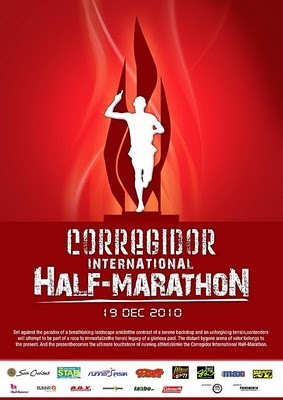 Going back on topic: Then came the Conquer Corregidor, The 10-Mile Island Challenge last December 6, 2009. Once I heard about it, I immediately wanted to sign up. Unfortunately, it was not meant to be. I heard great reviews about the 16k fun run that I vowed to face this challenge if it was to be repeated. 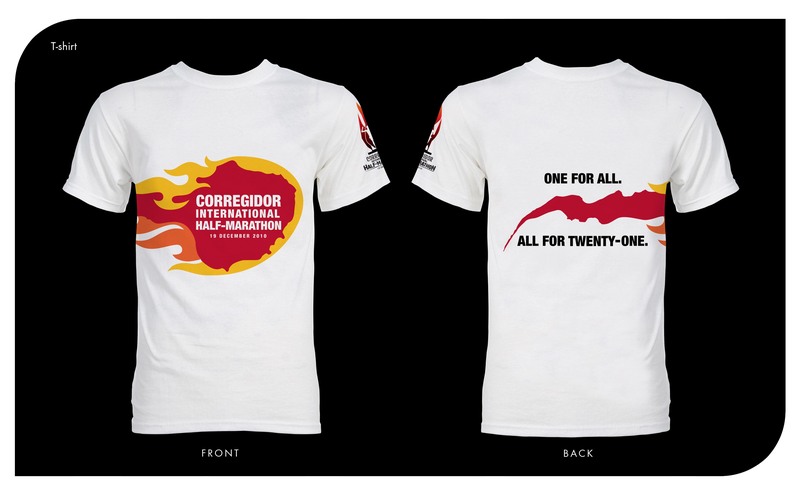 Fortunately, the race organizers heard our pleas and have organized another great Corregidor adventure. 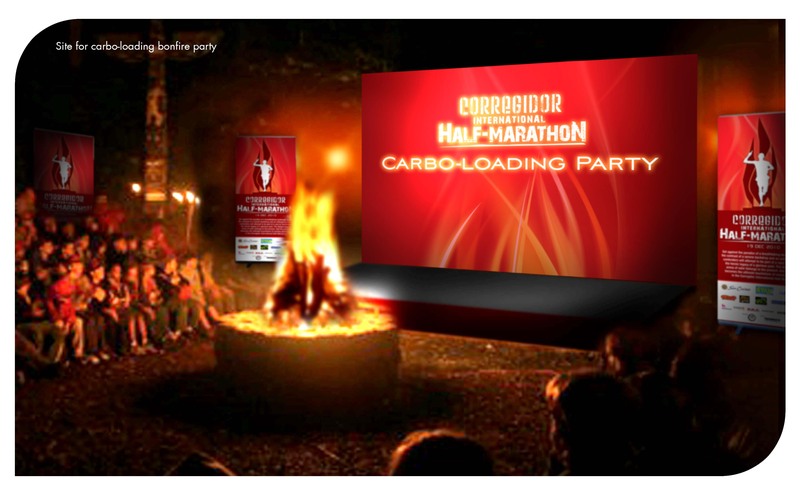 In fact, they even went a step further and created a Half-Marathon sequel. Sweet! The test run was done last September 11 (I couldn’t join as I went to the US to run the Disneyland Half Marathon) and from what I heard, it was one helluva course! Expect nothing less from race director, Edward Kho. But what does one expect from a road race in this historical Island? I have heard that this Island’s hill route is to die for. It is not for the faint of heart and not for sissies. After burning all those calories conquering the Island’s challenging route, you won’t feel guilty pigging out during lunch. A reminder though, your stomach is not an endless pit. You get a medallion (yes, not a medal) that is worthy of the name INTERNATIONAL. 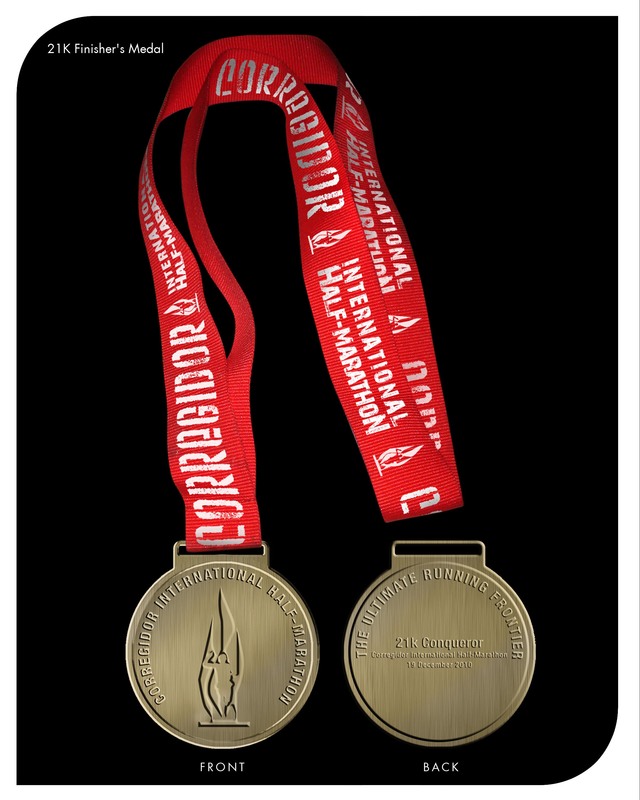 If you do not finish the course but finished at least 10k within the specified cut off (1:45) you get an Achiever’s medal. 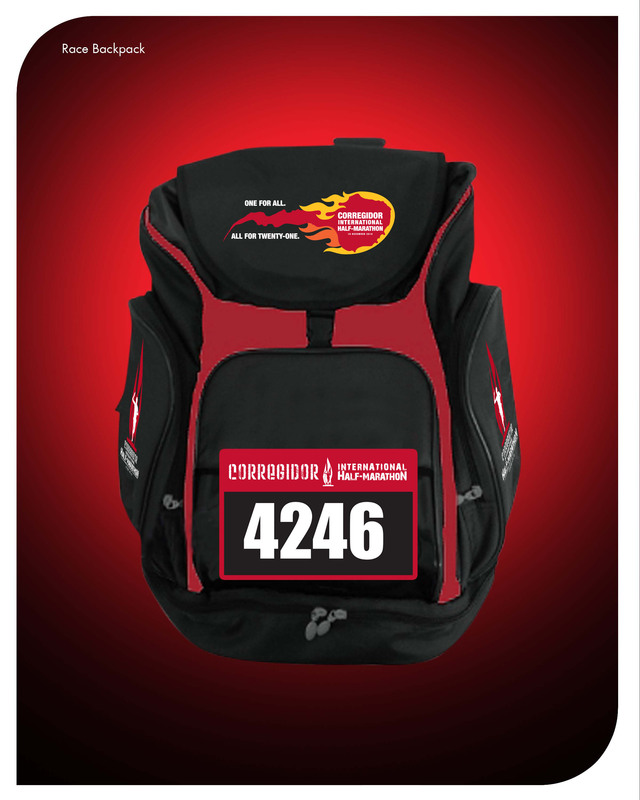 An athlete’s backpack, which is uber cool! You’re only allowed to check-in your stuff using this backpack. This is a common practice in International races wherein organizers will only accept items checked in using the provided bags. A personalized Finisher’s Certificate complete with finish time. Still interested? You better be! Check out the details below. 1) After completing registration for the race (manual or on-line), beginning the following Monday, contact Sun Cruises at 8346857/8346858/5275555 loc 4511 0r 4512.
c) Participants with non-competing companions (non-competing companions will have to pay Php2,000.00/person; no race pack will be provided to them) will have to take the Dec 18, 11:30am trip to Corregidor (return trip to Manila is on Dec 20, Monday, via 10:00am trip from Corregidor. * for “a)” and “b)” indicate if attending the Solidarity & Victory Party on the night of December 19 to amend departure schedule to Monday, Dec 20 via 10:00am trip from Corregidor. 3) If applicable, make accommodations reservation with Sun Cruises (only registered participants will be given reservations). Pay the appropriate accommodations booking amount through the payment mode advised by Sun Cruises. 4) On Dec 4 or 11 (as advised through email and text by the organizers) at ROX, attend the Runners’ Briefing, pick-up the race pack, and claim the Boarding Pass and/or Accommodations Booking ticket from Sun Cruises. Ensure to bring the Acknowledgement Receipt issued during registration. No Acknowledgement Receipt, No Race Pack. 3) Proof of participation in a 10k race (during the last 2 months prior to registration) or 21k race (during the last 3 months prior to registration), or a full marathon (during the last 6 months prior to registration) or a doctor’s certification of fitness to participate in an athletic event. For proof of race participation, a printout of the particular race result is preferable. In lieu of that, race bib will be accepted but will be subject to verification through the race results available on-line. So, shall we see each other in Corregidor? I sure hope so. Ciao! Too bad we are only arriving on the 19th of December. The flights are full going home to Manila. you’re coming home?! goodie! you better come see me! 🙂 miss you all!